Well you've got to start somewhere. I've had many great ideas for great comics throughout the last 8 months but some people (NIBS) have taken a while putting this site together and giving me an appropriate outlet for my creativity. It's finally here though. I hope you guys enjoy it. I'll see if I can improve my Photoschlop skills as we go. 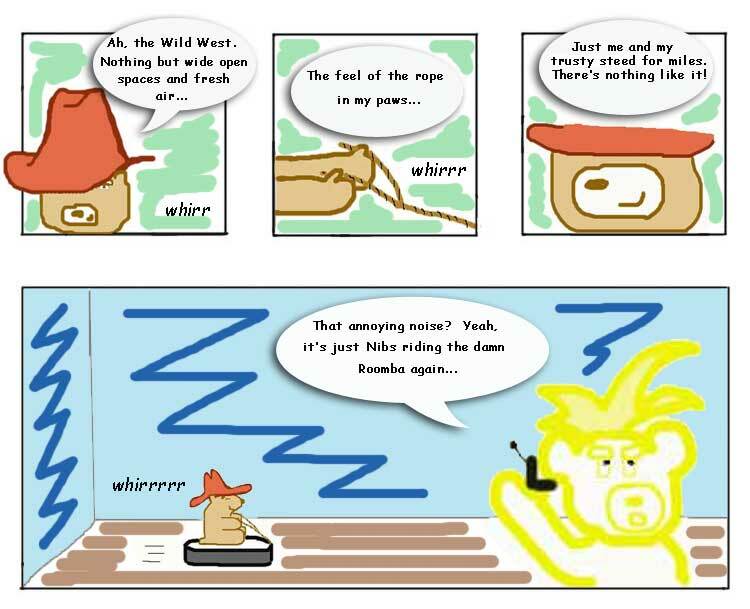 This comic was inspired by watching Firefly and hearing about the Roomba. Too bad for us Nibs doesn't actually do any cleaning around here. Maybe I should strap him to a feather duster and as he romps around at least some dusting would get done.